Facts:April Greiman was a photographer , designer, who incorporated drawing prints and graphics into her work making one dimensional posters appear three dimensional. She moved to LA and design with Jayme Odgers the above poster for Cal Arts and ushering in the California New Wave. Quote: “What I immediately loved about L.A., and still love, is the way the boundaries are never fixed. That’s the advantage of having so little local tradition.”via Los Angeles Times 1998. Featured in the catalog for launching a design medium and using past collage aesthetics in all new ways. Facts: Made By Schreiner for Stiletto Studios located in West Berlin. 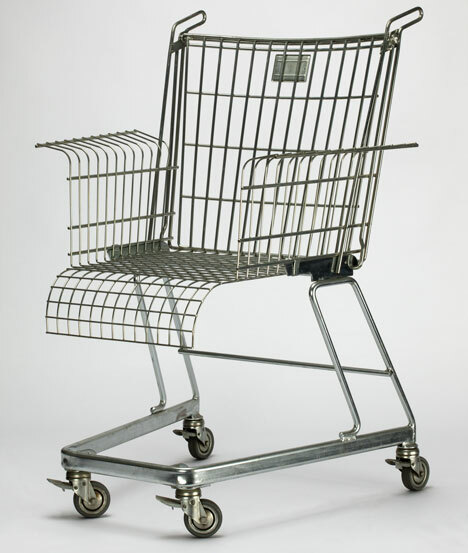 The story goes he took his mother to a design shop and when encountered with the wire mesh furniture she said it all looked like shopping carts, and the chair idea was implanted. Included in this catalog for taking something used in the mundane daily activity into a whimsical office feature. 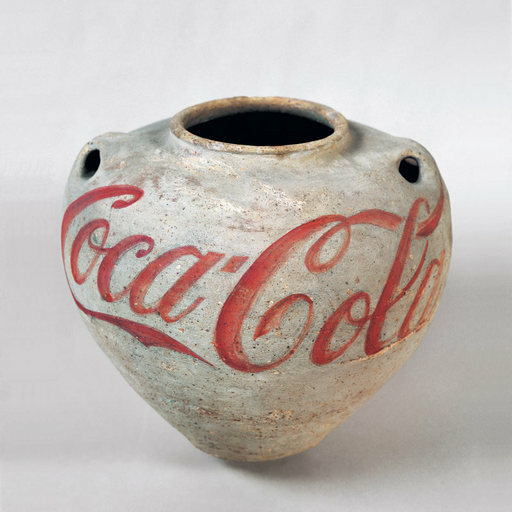 Facts: WEIWEI created the Coca-Cola Urn as a metaphor for the fight between commercial progress and historical preservation. In 1995 he took a series of stills dropping a Han Dynasty Urn and staring at the broken pieces. This is now one of his most renowed pieces of art work. However, in 2012 Manuel Slavisberg photographs the owner, Uli Sigg, of the Coca-Cola Urn in WEIWEI similar stance dropping the Urn. This creates brand new art work and is renamed Fragments of History. Everything about the history of the pot says out with the old in with the making of the new. Facts: Part neo Rococo part Italian minimalism this sideboard acts as a look at furniture through time in one piece. They effortlessly dissolve into one another and is a visual example of postmodern intertwining of historical design eras to create something all its own. This piece strangeness also could lend to longevity as a featured home piece. Facts: Banksy is one of the most well known political artist that has yet to be identified. His art pops up over night and makes statements that are fantastical, eye opening, and hard to ignore. Sometimes called a art terrorist, Breaking Out is a feature in a Town Hall art show in Bristol, England to thank the city for his early street art career. 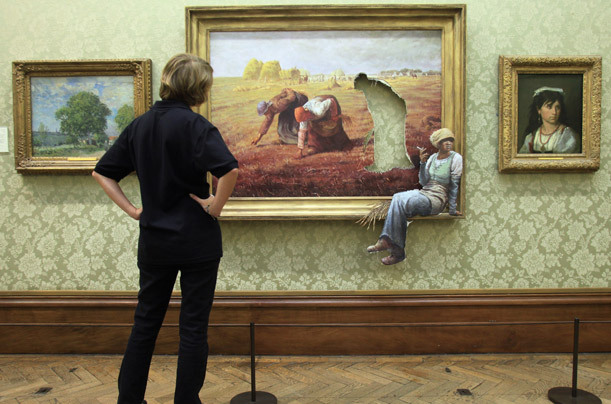 Banksy art is as sought after as his identity. His bold new takes on telling truths about society and past are comical and thought provoking. Facts:One of the most sought after tea kettles in the world, after its debut in 1985 it went on to sell more units in Alessi history than any other item in the catalog. 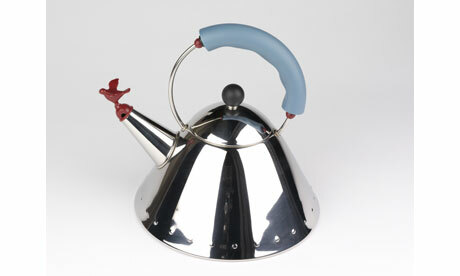 He designed the base is wider with a narrowing at the top creating a more efficient tea kettle that boils water faster. The Bird Whistle can also be replaced if lost. Though it is considered retro now it hasn’t lost its modern edge and the fact that the design is so efficient it is still useful as ever. Facts: An unrecognizable entrance the house looks as if it is always under construction or growing out of the ground. 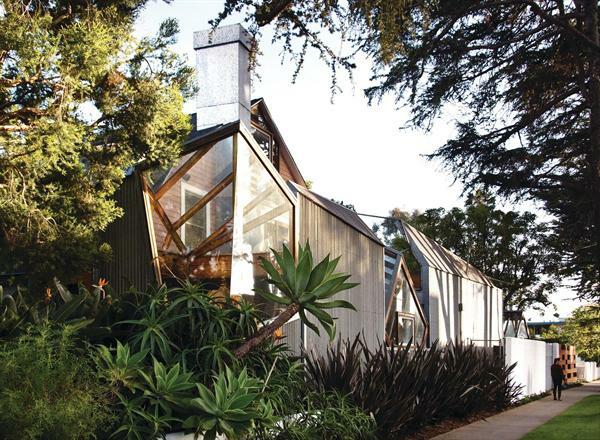 He wanted to keep the original house intact and build around it and the interiors cause disorientation because of the placement of mirrors and glass. Setting down in the house you are able to see the moon as if it is floating in the house. They also decided the house was haunted with the ghost of cubism. This hose is featured because of its deconstructivist esthetics but is a classic none the less.